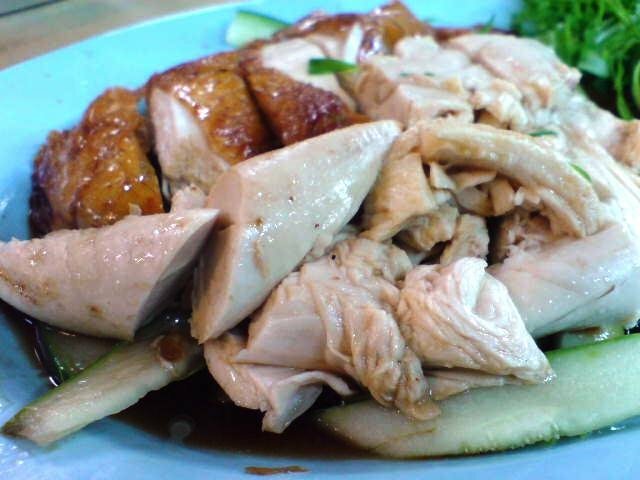 This is one of the better chicken rice shops in town, if you like roast chicken. The meat is tender, skin is nice and crisp, the rice flavourful and the chilli dip very complimentary. I like that it comes with grated ginger too. It just pulls everything together. Pity they only serve rice and not porridge as well. This shop also serves other cooked dishes such as fish head curry, fried vegetables, hot plate tofu, etc. i stayed in that hotel in singapore, and i tried the chicken and i thought it was soo good i couldn't find anything as flavourful until i went to novena and tried wee nam kee... i was sooo amazed... i couldn't say a word... for me... it is truly the best chicken rice in singapore!